The Design and Lifestyle Event, is the country's premier trade platform for exports and design, providing opportunities for small and medium scale entrepreneurs to showcase their products in the world market. Manila FAME is one of the longest-running trade shows in the Asia-Pacific, featuring the latest Philippine-made creations from artisans and manufacturers and is the only trade event in the country approved by UFI, the Global Association of the Exhibition Industry. ​Find the things you love to keep and the things you just can't let go of, all in one place! Your pockets are about to get lighter, and your rooms could get a bit tighter after we haul in chests, boxes and crates filled with your favorite things! It's going to be a Collector's Cove of must haves and must-sees! Stash the slash, and catch unique collectibles at their best prices before anyone else! Mix and mingle with co-collectors and join in on some fun swaps, trades, games and auctions! Nothing haunts us like the things we didn't buy. So if you can't stop thinking about it? We say, buy it! Don't hold back! Treat yourself and indulge in Guilty Pleasures! Dont miss the mega savings spree for everyone as Zelt brings you another round of exciting offers and discounts and great deals from our bazaar participants. The newest venue in the heart of Katipunan, where music, arts and great food come together in a series of weekend bazaars starting this October 2015. We are currently organizing a series of events called EAT ART GIG and we are looking for people who sell unique, handmade or homemade products or treats. located at 35 Esteban Abada St. Loyola Heights, QC ( hence the name =D) so we will be catering to the neighboring communities of Loyola heights, La Vista, Loyola Grand Villas, Ayala Heights and Xavierville Subdivision to name a few. We are also expecting foot traffic from the surrounding schools namely, the Ateneo, Miriam College and UP Diliman. The Annual Zonta Muntinlupa Bazaar: Pinoy Ito! Saturday Market X FutureMarket @ ESCOLTA is a offering of 98B COLLABoratory in partnership with the First United Building (FUB) and the Escolta Commercial Association (ECAI). It is a bazaar, garage sale, thrift shop, black market and meeting place. Artists, craft makers and designers sell their wares: from artworks, limited edition shirts, hand-made clothes, books, bags, jewelry, accessories, toys, zines, CDs, stickers to one-of-a-kind merchandise. Third time's the charm! 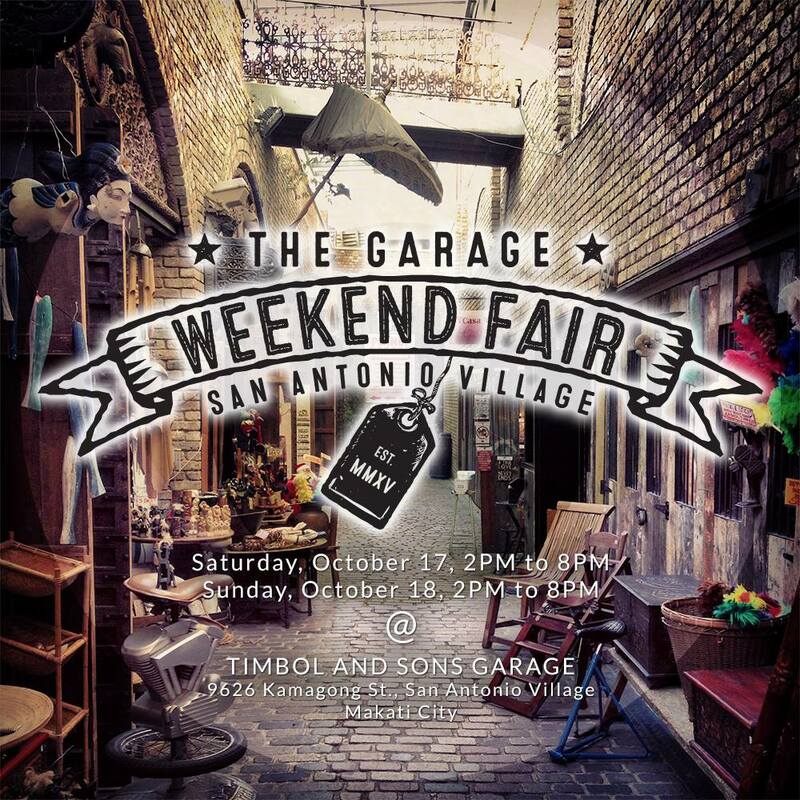 The third GARAGE WEEKEND FAIR is happening on October 17 &18 (2PM-8PM) at the Timbol & Sons Garage Lot along Kamagong St. (in front of Trigo Bakery and in between Guijo and Sacred Heart Sts. ), San Antonio Village, Makati City! 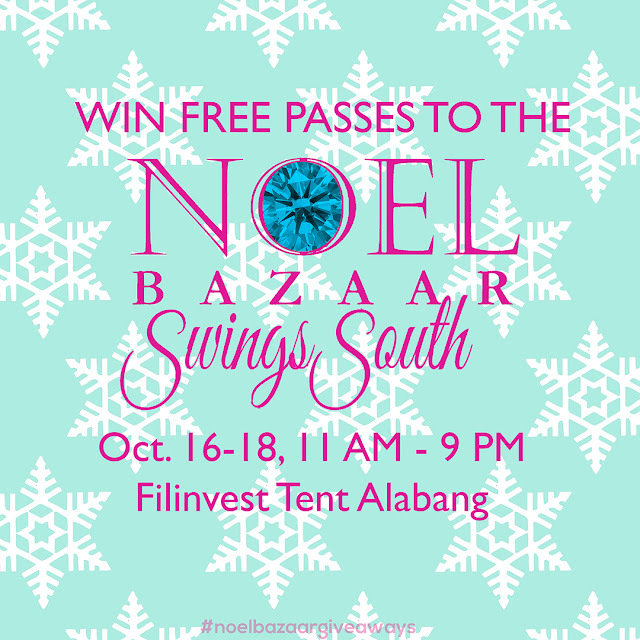 This aims to provide online entrepreneurs and small businesses a quaint and homey venue to interact with their followers and customers while it brings in more enthusiasts to the fair who are after yummy treats, great finds and good times! Green Daisy Maginhawa St. Q.C.